Remember the days when you couldn't wait until your little one would reach some new milestones? When they tried their first solid foods, the first time they spoke, or walked on their own? Now, they want to do everything themselves and sometimes it just results in one big mess. When your kid can't wait to help you in the kitchen, don't stress out. Cooking together is sure to be a fun experience and memory for both of you. Plus, letting your child help you make a new recipe is a great way to help them want to try a new recipe. We can't all eat chicken nuggets and macaroni and cheese every night. 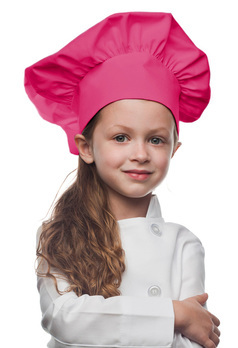 Kids aprons are just what you need to help relieve your stress. An apron provides a protective barrier on all of those cute outfits you are always putting them in. It not only protects their clothes but saves you the time from changing them, again, today. It also prevents adding to that ever-growing load of laundry. Wearing an apron doesn't have to be a chore for little ones. It can make them feel more grown up, just like mom or dad. Plus, it's another fun accessory to add to their dress-up bin. My Kids Apron is the perfect place to shop for a fun, authentic apron for your little one. We specialize in personalized kids aprons. You can add a name or design to make sure it matches your child's personality and is fun to wear. There is a wide variety of styles to choose from. You can get a traditional apron or a cobbler apron, both with two lower pockets on the front for all of their utensils (or toys, whichever they choose!). 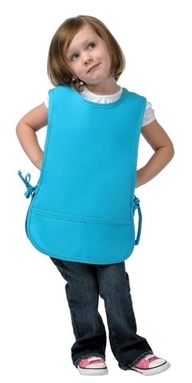 The cobbler aprons cover your kid's front and back and ties on their sides. There are multiple colors to choose from: hot pink, pink, purple, white, royal blue, or navy blue. Choose from one of our multiple fonts to add a name or nickname. We have images you can choose from to add or you can send us your own favorite logo. You can also choose a chef's hat to complete their look. To order, simply go online and choose your favorite style. 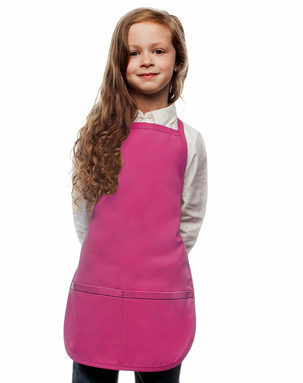 Kids aprons will ship the next business day and if you add embroidery it will ship within three days. See what style your little one will like best and go make some memories!